Almost everyone has a Twitter account and uses it almost everyday to be updated with everything under the sun. 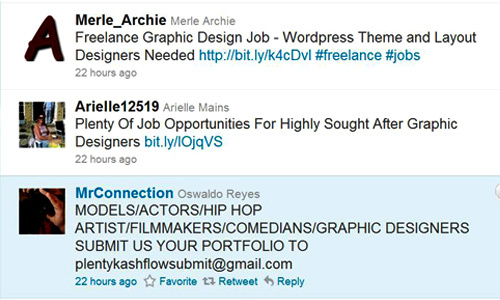 For freelancers, Twitter can be a great advantage in marketing your services. If you have lots of followers, some of them could be your potential clients. Keep on tweeting about your newest projects, share resources on graphic designing or retweet interesting tweets from other designers. 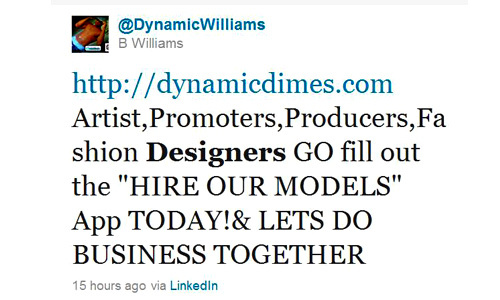 There are other ways to help you make a name on the web through Twitter. Check this out. 1. Use as a Self-Branding Tool. First and foremost, you have to tell others who you are and what you can offer as a designer. Twitter can be a self-branding tool where you can effectively help others recognize you at one glance. Since it is a way of telling others who you are, you have to be professional in your posts. Make your account business focused. You can make your separate personal account where you can express your personal emotions and opinions on topics that are not related to business. 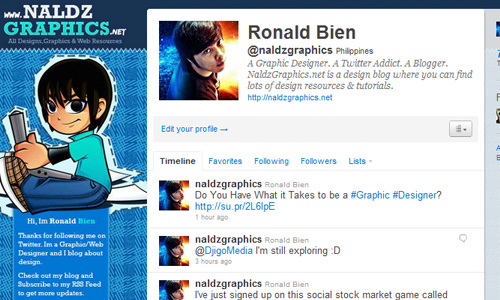 There are hundreds and thousands of designers in twitter who use it and update it everyday. You’ll get an advantage in doing that because you could easily view their projects, get inspiration from it, you can comment on their post and your name will be recognized soon as part of the designer’s world. Some designers were featured in blogs and websites like 50+ Designers to Follow on Twitter , 100 Web Designers to Follow on Twitter by Thomson Chemmanoor and 50+ Pro Logo Designers to Follow on Twitter by Josiah Jost. 3. Answer fellow designer’s questions. If you find a fellow designer’s question interesting or you know the right answer to it, then don’t hesitate to post a reply to their question. This could be your first step in creating networks and relationships with fellow designers who could be your professional advisers when you need it. 4. Share your recent projects. Whenever you are working on a new project, you can share your work on progress and your finished output. Other designers could help you improve your designs by their feedbacks on what you did. 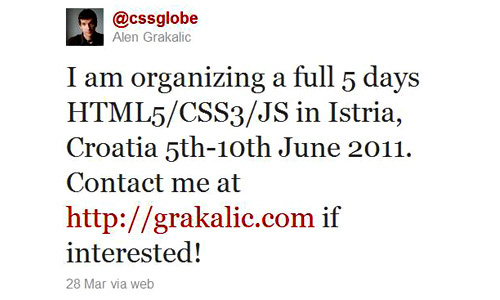 This will also boost your confidence and your name as a designer especially if your projects are totally awesome. This is also another way of inviting and attracting new clients. 5. Encounter new web resources. As you enjoy tweeting, you can actually discover new resources like tutorials, inspirations, and others through your fellow designer’s tweets. You will learn a lot of new things with the valuable information they post on Twitter. Remember that you are a designer. Have a “designer’s look” page. There are different ways to make your page look good. 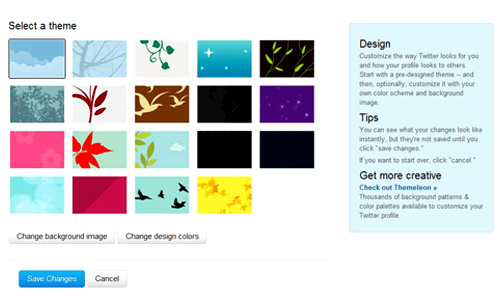 Here are 50 Twitter Tools and Tutorials For Designers and Developers that you could use in customizing your page. 7. Make use of #hashtags. 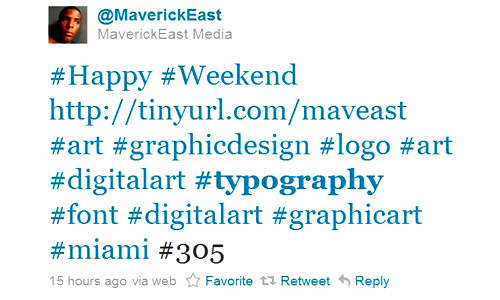 The symbol # which, called a hashtag is used in Twitter to mark words and topics in categorizing messages. You could easily click on a hashtag and other tweets with the same hashtag will appear. You can easily join in a conversation and get information about a certain hastag. Others can also find you through this. 8. Find jobs in twitter. Use search.twitter.com to search for jobs or projects. 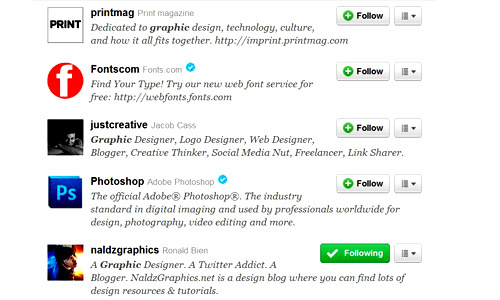 Design companies and individuals who needs a designer post job hiring in Twitter. Look for jobs and follow instructions. 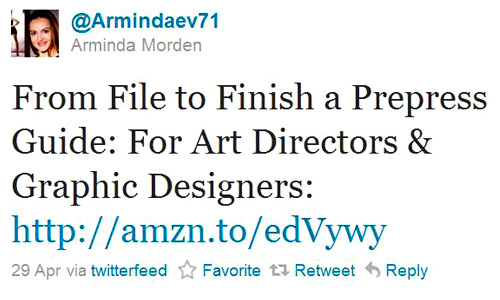 Some companies doesn’t like the idea of merely posting a link to a portfolio. You have to know what they are asking for so you’ll have a chance to get the job. If they want you to just post a link, then do that but if they ask you to email a resume, don’t forget the cover letter. 9. Inform other designers on jobs found. If you found a job which you are not interested of or you were offered a project by a client which you think you couldn’t handle, refer them to other designers. They will appreciate this and will also refer you to other clients as well. Receive feedbacks from other designers. For sure, you’ll find their comments helpful. Study their feedbacks and try applying it. Read others tweets and retweet those which you find interesting and valuable. You’ll discover new things while working and tweeting! When you find something interesting and useful in the web, share it to others. Others might retweet this and comment on your tweet. Others will be interested to follow you if they find your tweets interesting. So, start sharing resources which could also be one way in making a name in Twitter. Upon posting your projects, others will see how creative and how good you are as a designer. 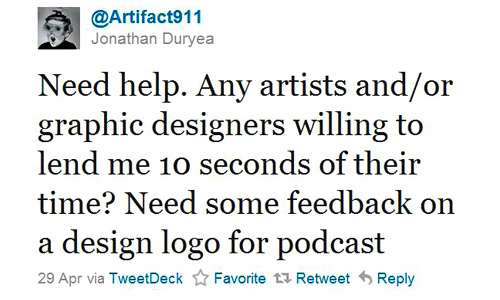 They might as well hire you to work for a certain project. Since over a million people uses Twitter, there is a great chance for you to double your number of clients. 13. Critique designs when designers ask for it. Designers will appreciate it if you share your critique on their works. They are actually soliciting comments to help them improve and to help them determine what certain points needs their attention. If you do this, you’ll widen your network more and more. 14. Ask questions and opinions. 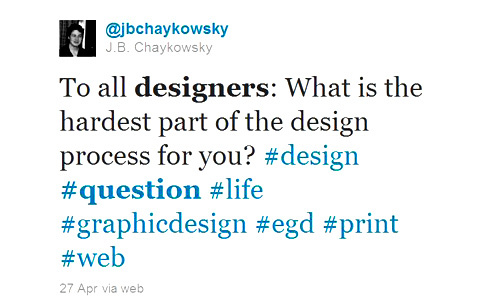 You can tweet questions pertaining to design and you’ll be pleased to see that other designers will respond to your queries. Always appreciate answers that have helped you in your project. You could start building a relationship with those designers which could be an advantage to both of you. 15. Be informed on seminars and other events. 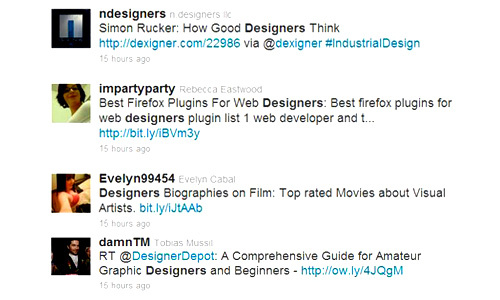 When you’re on Twitter, it is easier to find seminars and events for designers. This is a big help in extending your network and getting to know other designers, too. So, aside from enjoying conversations with friends and getting new updates every second in each day, why not use Twitter to extend your network and to expand your business? Many freelancers have succeeded by using this social media site. Others will also be pleased to know that a designer like you is a social-media savvy and a freelance professional at the same time. What are you waiting for? Tweet now! Great tips and tricks. 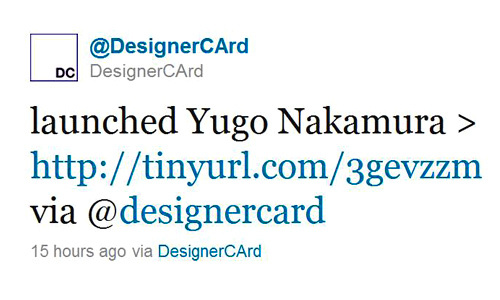 I mostly use twitter to find new designers and people interested in our industry. This post have a really good and Informative content. 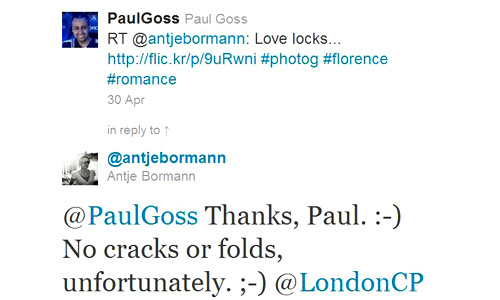 Thanks for some inspiring ideas for using Twitter! Another tip: don’t spend too much time on Twitter. It can really absorb your time, which you also could have used for designing. I have every time use twitter. Full of useful resource and great.